The pen and notebook have been replaced by a digital version of the same: the Notes app on iPhone. Contents on the latter, like the former, can be lost. Only, differently, as is outlined in part one of this article. Some users have posted on Apple's community fora, "My notes disappeared on my iPhone" necessitating the need to know different methods of getting them back. Knowing how important notes have become, we've written outlined methods of recovering your notes and complied relevant information relating with the same. Part 1. Why Notes Disappear from iPhone? Accidentally deleting notes without noticing. All notes on iphone disappeared after software update. Lost notes after deleting emails synced on your iPhone. Erroneous setting up of email accounts you use to sync notes. Attacks by malware and viruses. Below are the first and most logical actions to take if iPhone notes disappeared. Restarting your iPhone is considered to be as good as giving it a new lease of life. To restart your iPhone 8 or earlier, follow the procedure below. Step 1: Press and hold the side or top button until a slider appears. For iPhone X, hold the side button and one of either volume button and hold and drag the slider, when it appears, to turn it off. Your notes could have disappeared simply because you haven't synced them on iCloud. To turn it on, follow the procedure below. Step 1: Launch the Settings app on your iPhone. Step 2: Tap on your Apple ID on the top of the interface, then tap iCloud and sign in using your Apple ID credentials. Step 3: Toggle on the Notes button to turn on syncing. Check that all mail accounts have been correctly set up by following the procedure below. Step 1: Launch Settings then navigate to Mail. 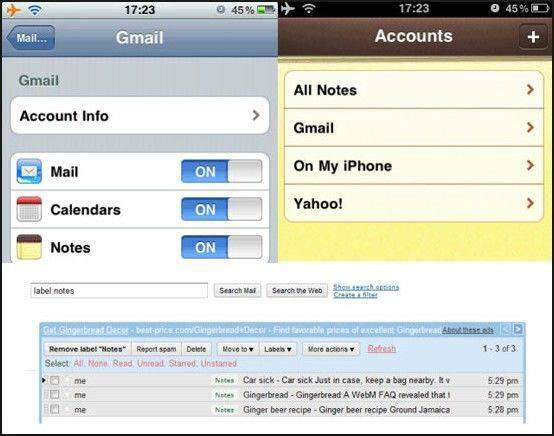 Step 2: Tap Accounts and select the email you would like your notes to be synced with. Step 3: Toggle on the Notes button to complete syncing. Step 4: Repeat the process for every other email. 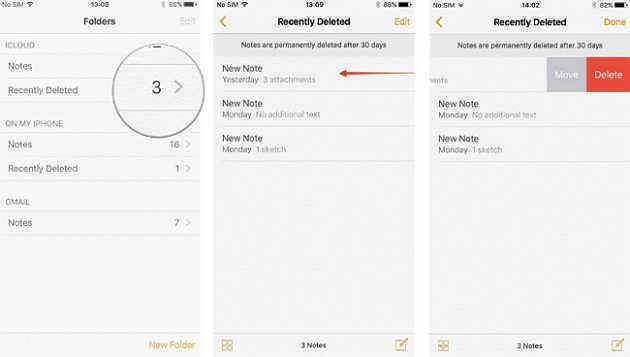 Notes that have been deleted within 30 days can be restored from the Recently Deleted folder in the Notes app by following the procedure below. Step 1: Launch the Notes app. Recently Deleted folder. Step 2: Select the Recently Deleted folder followed by the Edit button on the top right corner of the screen. Step 3: Select the notes you wish to recover then the Move To button located in the bottom left corner of the interface. Step 5: Select the folder in which you want to recover the notes. 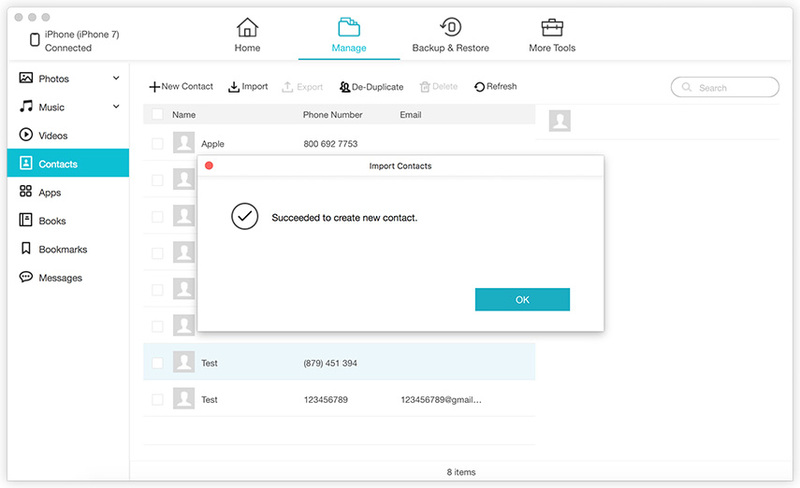 Tenorshare UltData enables users to recover notes and other types of data that have disappeared on your iPhone. Users can easily do so by selecting notes and previewing before restoring them. Tenorshare UltData negates the need to lose data that has not been backed up on iTunes or iCloud as usually happens recovering for the two. Step 3: Click Start Scan to access all the deleted notes. Step 4: Click Notes from the list of data types on the left pane of the interface. Some users have complained, "All my notes disappeared on iPhone?" To restore them from an iTunes backup, follow the procedure below. To recover notes using iCloud Backup file, follow the procedure below. Step 2: Enter the same Apple ID credentials you used when setting up your iPhone or click Login Shortcut to automatically login. This article takes the top down approach of dealing with notes that have disappeared. Possible reasons for the same are outlined, and practical solutions offered. We recommend using Tenorshare UltData since it offers a conclusive, robust and flexible way of recovering notes by offering three methods of recovery. Users can also preview and selectively restore notes.